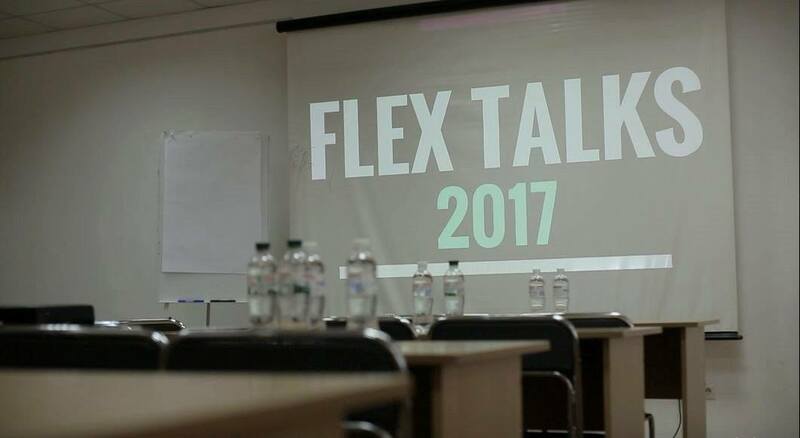 On February 18 more than 130 people attended the FLEX Talks conference in Kyiv, Ukraine. 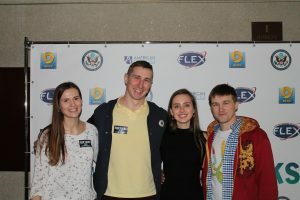 It was the first conference of its kind in Kyiv, where FLEX alumni shared their success stories with active youth in the community. 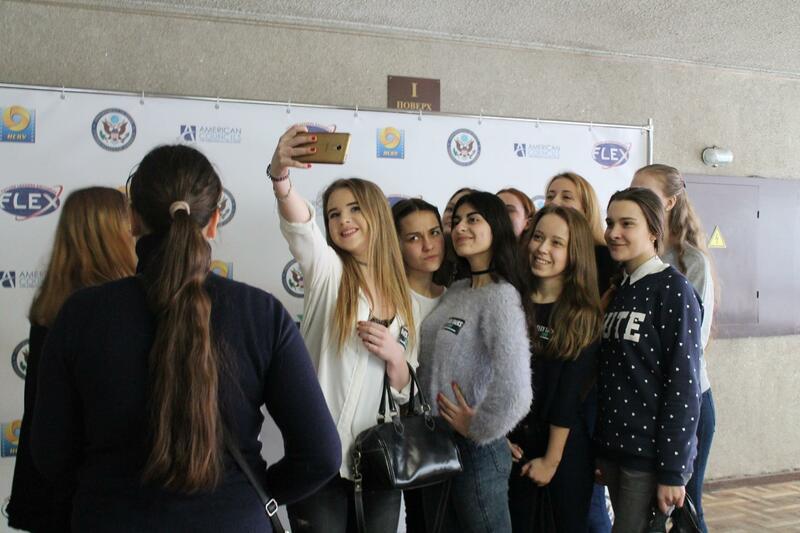 The idea of this project came to Olena Kozyr ’16, Yuliya Tymoshenko ’16, and Vladyslav Klybanivskyy’16 during the Eastern Europe FLEX-Ability workshop that they attended in Kvareli, Georgia last September. The workshop gave them a wide range of new technological, entrepreneurial, and creative thinking skills as well as boosted their desire to make positive changes in their communities. “Ukraine has more than 6,000 FLEX alumni and every one of them has a story to tell. 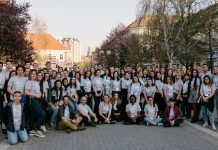 We were always eager to organize something like TEDx for FLEX alumni, so we applied for Eastern Europe FLEX-Ability Workshop Follow-on Project grant and received funds to hold FLEX Talks”, — says Olena Kozyr. 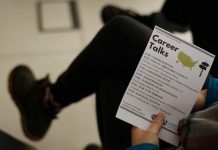 During the event, five incredible speakers shared their experiences of becoming leaders in their fields and inspired the youth involved to reach for their dreams and goals. Roman Fishchuk ’04 (Ivano-Frankivsk) talked about his life path – starting from spending a year in Pennsylvania to opening an innovative hearing center at the Ivano-Frankivsk National Medical University. After years of unsuccessful attempts to reform the healthcare system on a state level, he believes that real change is always brought by grassroots initiatives on the local level. Vadym Kiyashko ’08 (Kupyansk) introduced the camp “Unity” and “I love English” schools that he has been working on for the past three years. The camp and the school cultivate students’ leadership and English skills. Mykola Tymkiv ’08 (Kalush) explained what creates a perfect team and how his company Zoom Support grew from 200 employees to nearly 1000 in two short years. In his speech, Mykola also emphasized the vital role of social entrepreneurship in the world. Victoria Barbaniuk talked about the importance of being at the right place at the right time with the right people. 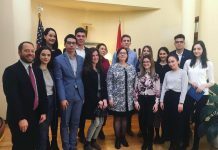 She stepped in to represent and present on the Teach for Ukraine project, which was initiated by FLEX alumna Rimma El Dzhuveydi ’07 (Zaporizhzhya). Special guest speaker Pavlo Sheremeta, Ukrainian economist and a former Minister of Economic Development and Trade in Ukraine, focused his speech on three key traits of a successful person: removing everything unnecessary from life, embodying a sense of danger, and embracing principals of effective communication. Pavlo believes that active young people are in charge of Ukraine’s future. “I met so many motivational people here and was really inspired by the speakers. It’s time to change something in my life.” — says Anna Babychevska, FLEX Talks participant. The participants were not the only ones who learned a lot at the event! Organizers enjoyed the unique experience of preparing for this event. 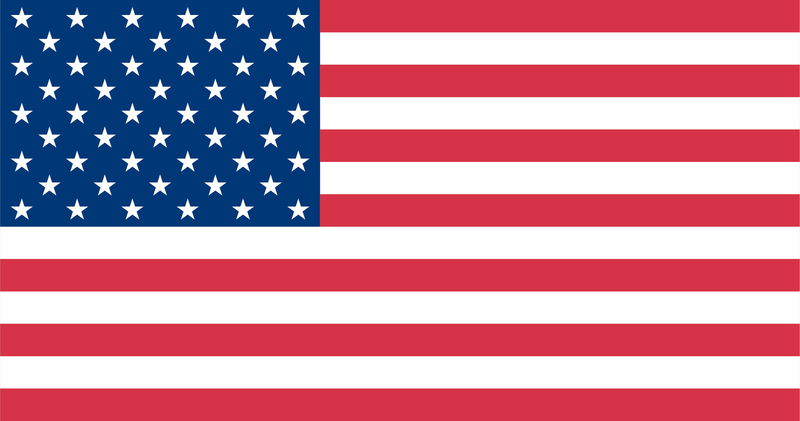 “This was my first experience of managing and organizing the project like this. FLEX Talks motivated me, I hope it is equally encouraging for those who atended!” — says Vladyslav Klybanivskyy. Undoubtedly, the FLEX Talks has made an impact on the youth who joined the conference and taught that anything can be achieved through hard work.